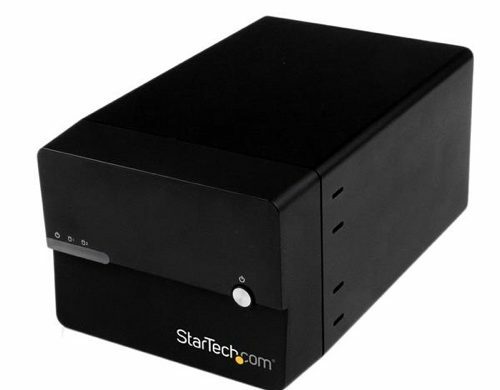 Today we’ll be looking at one of Rocstor’s newest storage solutions, the Arcticroc 4T RAID enclosure. At first glance the Arcticroc (AR) doesn’t look like your run of the mill external storage solution. It’s not. After my disappointing experience with a NAS I tested a few weeks ago, I was really looking forward to evaluating this unit. To recap, a network attached storage (NAS) device is a shared disk drive that uses your internal network, or in some cases the internet to share data with multiple computers. It’s a great place to store backups, large media files (such as for home theater systems), archived multimedia projects, or anything else that requires larger than average amounts of storage space.